Sometimes it’s hard to spot the join in artist’s careers, the definitive moments in which they shed a skin and transform from having one destiny to another. 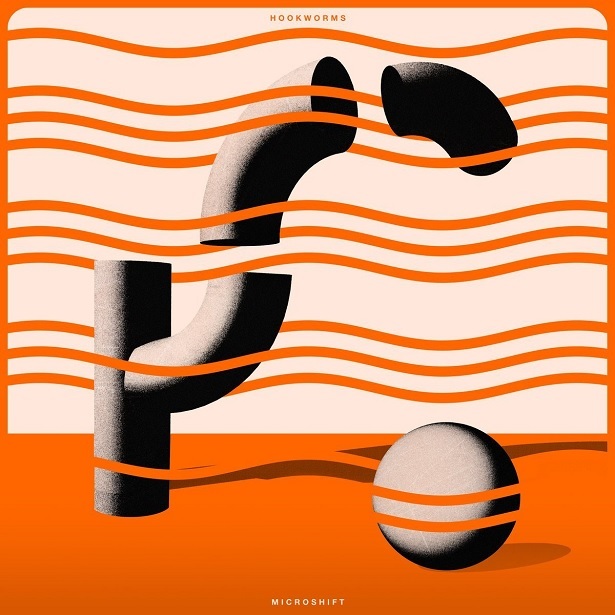 For Leeds five piece Hookworms however, Microshift feels indisputably like that rapid evolutionary step, a record which seems likely when they take a moment to reflect in years from now to have had a cathartic effect on how the music they make is made and then perceived. It’s roots lay in a disaster of a natural sort, specifically the flooding of singer MJ’s riverside home studio in late 2015. The clean up necessitated a delay but also provoked a renewed sense of purpose, an energy that gives Microshift a far less introverted perspective to that of it’s predecessors. MJ’s lyrics deal with primary emotional triggers – the pain of loss, relationships, anxiety, body image – whilst the quintet touch musically on techno, post-punk, synth pop and krautrock to weave a dazzling, inventive backdrop for them. The effect is cathartic; whatever destination Hookworms were heading to before, after Microshift it’s likely nothing will be the same again.